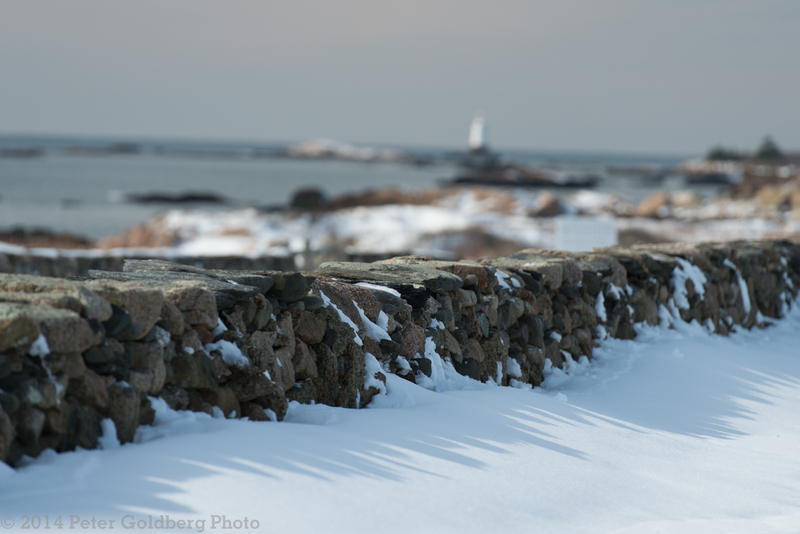 In between snowstorms we took a drive to Little Compton. The ocean looks different in every season. 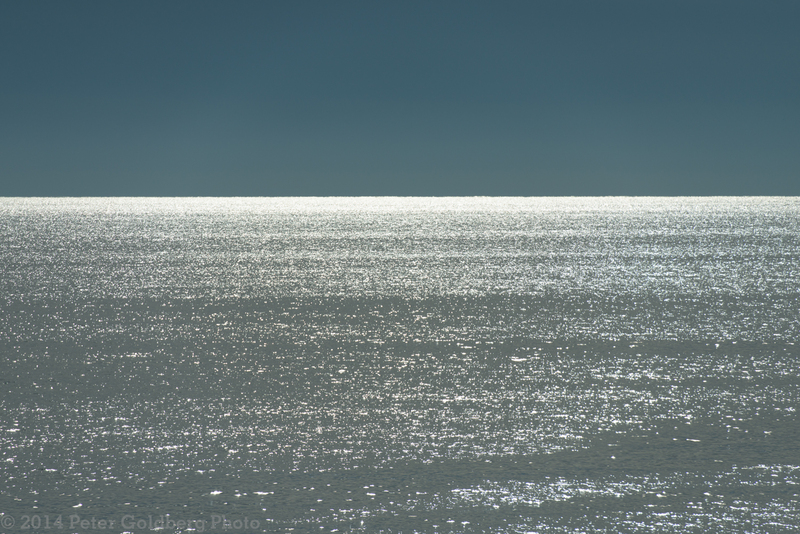 The sun and the water were putting on a light show. I love that bright strip of light on the horizon. It reminds me of the flash from a welder’s torch, it almost hurts to look right at it. 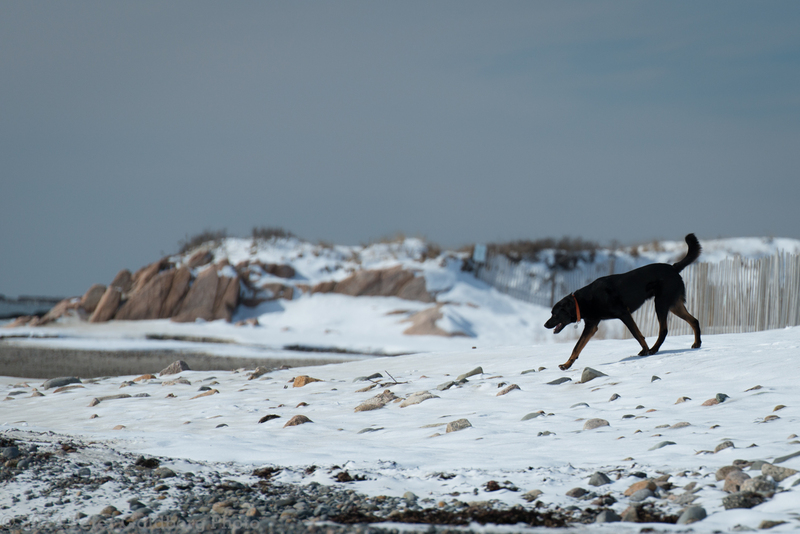 Our dog Sam enjoying two of his favorite things – snow and the beach. This entry was posted in Natural World, Winter. Bookmark the permalink. Thank you Peter and Cherry. The “light show” is especially moving.